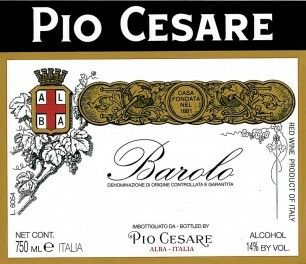 David Tomatis of Pio Cesare winery took to the floor at West London Wine School to give a Pio Cesare masterclass to a room of Barolo enthusiasts. David talked about the history of the estate, now in run by fourth generation, Pio Boffa. David also mentioned the variations in characteristics of the grapes grown in the two different soil types and the divide being the Alba-Barolo road which runs along the valley, separating La Morra and Novello to the west and Serralunga d’Alba and Grinzane Cavour to the east. In the communes of La Morra and Novello the soils are younger, from the Tortonian period, largely calcareous marl, give perfume and delicate fruit characteristics to the wines, while the grapes from , Grinzane Cavour and Serralunga are grown in poorer, more compact and less fertile soils with more clay, giving structured wines with more tannin and greater ageing potential. He explained that at Pio Cesare, they chose to blend parcels from four communes so that the unique qualities of the grapes from each vineyard combines to create a harmonious and perfectly balanced wine representative of the Barolo region.